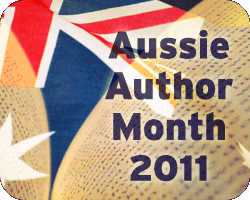 Join us for a month-long celebration of Australian authored works of (mostly romance) fiction. For the entire month of April we’ll be focusing on books written by Australian authors, and most of them will have romantic elements because we’re all about the lurve! Yes, an entire month! If you don’t find at least one Aussie author you like this month, we’ll…we’ll…we’ll eat our blog. You know. If that were possible. A quick word on our blogging schedule. It’s going to be frenetic around here. After long bouts of inactivity, it may shock your inbox to receive so many updates from us. In our defence, there are so many awesome Aussie authors, we couldn’t fit them into a twice-a-week posting schedule. But stick around because there will be reviews and free books (yes, even to international readers because we want to spread the word far and wide) and maybe—just maybe—some tidbits from authors themselves. Just let us know if you’re participating, grab one of these buttons, and off you go. You can find a list of participants here and more information about the event here. Thank you to Jen and Alex for the awesome banners. For the month of April, you can get 10% off Aussie authored books at Galaxy Bookshop. Galaxy has a wall of paranormal romance titles, so make sure you check them out this month. To kick things off, here’s a recap of all the reviews we’ve done of books by Australian authors so far. Enjoy! So make sure you come back regularly during the month to check out new reviews, join the giveaways and celebrate the fantabulousness of Aussie authors. 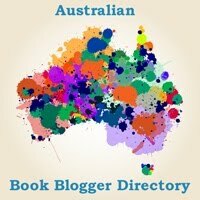 Who is your favourite Aussie author and why? 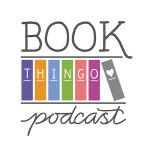 Next:Australian romance authors – how many have you read? Yay! This is exciting. I don’t know who my fave Aussie author is – I’d say Markus Zusak, because The Book Thief is one of my fave books, but I haven’t read any of his others so it doesn’t really qualify for fave author status, does it. Probably Melina Marchetta – I love to read and re-read her stories. I haven’t read The Book Thief, but I’ve heard so much about it. Melina Marchetta is also my favourite Australian author. I love her work and her books move me no matter how many times I’ve read them. There are too many wonderful authors to pick a favourite for me. I thought I’d use Aussie Author month to highlight some great Australian writers, past and present whose books I’ve loved. I’ve started with Ethel Turner’s Seven Little Australians – one of my favourites from my youth. Back to topic, though. I’m another huge Marchetta fan. I think all the Australian authors I love write YA – it’s such a strong genre for Aussie writers, I reckon! Anna, Decadence was reading Lover Unleashed the last time I checked, so expect something about it soon. :D I’m waiting for the paperback edition to arrive.